I published my first blog post on the Huffington Post website back in October. What immediately amazed me was the large number of comments posted about my piece. In the first couple of days there were close to 500 responses to what I had written. And then I began to skim these "talkbacks" to find that the vast majority were written by individuals who were angry about any form of organized religion and believed that God was as make-believe as Mickey Mouse. I was surprised to see so many self-affirmed atheists not only lurking on the religion section of the Huffington Post, but also being its most vocal contributors. It should be noted that my blog post had little to do with God and was devoted to post-denominationalism in Judaism. Most of the comments were from lapsed Christians who now felt religion was a joke and seemed angry that it was still in existence (in any form). I planned to write about this phenomenon, but never got around to it. So, I was glad when my colleague Rabbi David Wolpe, of Los Angeles, posted his feelings about it on the Huffington Post yesterday ("Why Are Atheists So Angry?"). In a much more eloquent way than I could, Rabbi Wolpe put into words his take on why there are so many atheists participating in the online conversation on websites devoted to religion -- and why their comments are so tinged with angst. When I first read his post yesterday there were no comments, however, when I checked back today there are now close to 900 responses -- certainly with a good number of them from the atheist community. How harmless is it to post an article about why people should read the bible on a site devoted to religion? I did on this very page, and it evoked more than 2,000 responses, most of them angry. I had previously written a similarly gentle article about how God should be taught to children that evoked more than 1,000 responses, almost all negative and many downright nasty. It is curious that a religion site draws responses mostly from atheists, and that the atheists are very unhappy. They are unhappy with the bible ("foolish fairy tales" is one of the more generous descriptions), unhappy with the idea of God (the "imaginary dictator" whose task in human history, apparently, is to ensure that oppression and evil triumph) and very unhappy with anyone (read: me) who presumes to offer religious advice to the religious. Only the untutored assume that religious people predominate on websites (Huffington Post Religion page, On Faith in the Washington Post, Beliefnet.com) devoted to religion. In the past when I have debated noted atheists -- Christopher Hitchens, Sam Harris and others -- the audience was heavily weighted toward my opponents. That makes sense. Each of these men -- like Dawkins, Dennett and others -- brings with them a large following. But why seek out a religious site solely to insult religion? To summarize, Rabbi Wolpe offers four four reasons why he believes atheists are so angry. First, Atheists genuinely resent the evil that religion has caused in the world. Second, they are convinced that religion is a fairy tale that impedes science/progress/rational thought. Third, "there is an arrogant unwillingness to engage with religion's serious thinkers." And, finally, he argues that "there is sometimes in the atheist a want of wonder. In a world in which so much is still not understood, in which multiple universes are possible, in which we have not pierced the mystery of consciousness, to discount the supernatural is to lack the openness to mystery that should be a human hallmark. There is so much we do not know. Religious people too should acknowledge this truth." Perhaps websites like the Huffington Post and Beliefnet should offer a section devoted solely to atheism so that the atheists would no longer dominate the airwaves in the religion section with with their angst. Or perhaps, these individuals will continue to weigh in on the discussions surrounding religion, but will do so in a more civil manner that will actually move the conversation forward in a productive way. I know deep down that these individuals are still seeking. They are still interested in the conversation and have their fleeting moments of belief; otherwise I don't think they'd spend the time engaged in the debate. 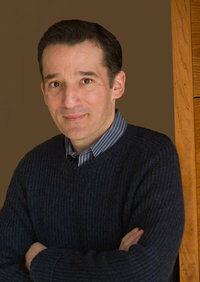 In the Philadelphia Examiner, one atheist responds to Rabbi David Wolpe's Huffington Post commentary: link. Perhaps websites like the Huffington Post and Beliefnet should offer a section devoted solely to atheism so that the atheists would no longer dominate the airwaves in the religion section with with their angst. Or perhaps, these individuals will continue to weigh in on the discussions surrounding religion, but will do so in a more civil manner that will actually move the conversation forward in a productive way. Perhaps an atheist will write "Why Are Jews So Pernicious?" and be likewise baffled by a harsh reception by Jews, even if the offending article was posted on an atheist website where Jews aren't supposed to "lurk." Maybe a Jews-only ghetto could be created for them to move their oh-so offensive remarks elsewhere.